SYSTEM MAINTENANCE – Friday, May 3rd 4:00 pm – Monday, May 6th 9:00 am. Online Banking will be down at this time. Debit Cards could be affected during this time. We will be closed on Saturday May 4th. We apologize for any inconvenience this may cause. We appreciate your patience as we upgrade our technology to better serve you. 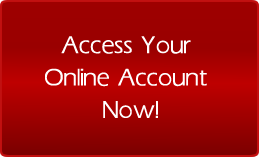 On Monday, May 6th at 9:00 am, we will bring our online banking back up. It will look the same, but you will have to login to computer or safari the first time and answer new challenge questions. User names and passwords will still work. Please contact us the 6th if you have any issues and need assistance. Providing the best in financial services to our customers. A true community bank reflects its setting, prospering when its hometown prospers. Piggott State Bank and Northeast Arkansas are strong, stable, and experiencing remarkable growth. Piggott State Bank is committed to providing superior, diversified financial services for individuals, businesses, and organizations. We are committed to serving the community where we live. Piggott State Bank continues to grow with traditions and values defined by the bank's founders in 1930. Our mission will remain the same - "to provide the best in financial services to our customers, attain and sustain a strong level of earnings as further protection for our depositors and to assure an appropriate return to our stockholders; also, to fulfill our role as a good corporate citizen and provide leadership in the economic growth of the communities in our market area."